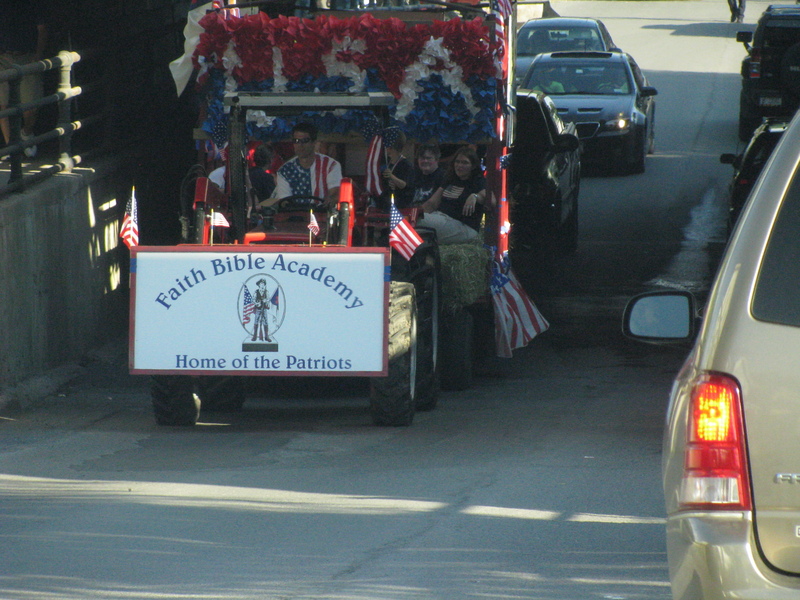 It seems right to celebrate the Fourth on a whirlwind “tour” of the New England states, but that wasn’t quite my intention. See, Breeah and I were coming home from an already incredible road trip to New Brunswick and Prince Edward Island (more postings on that later) and I decided that re-routing us away from the traffic and general bluster of the coastal interstates so we could see some uncharted (for us) territory would allow for a more entertaining ride home. From our hotel in Saint John, N.B. we hit the road right as the clock hit 6 a.m. in the Atlantic Time Zone. I had Google-mapped this specific route the night before, and it assured me it could be done in 16 1/2 hours without breaks (a day later I got a 18 1/2 hour quote – which now makes some sense). We were greeted with torrential morning rain as we left Saint John with low visibility conditions affecting the entire ride along N.B. Route 1. I was on the edge of my seat at all times, eyes peeled and watching for errant moose. All this time I was keeping an eye on the gas tank, which I’d filled to 3/4’s full back in Amherst, Nova Scotia the day before. I had hoped to cross over into Calais, Maine to fill up on “cheap” American gas but ultimately the warning light came on just short of the border town of St. Stephen, N.B. and I had to pull in. Border traffic was scarce by the time we pulled in at 6:22 a.m. Eastern Time. With the hour gained, we headed further into the much more lonely Maine Route 9 (having taken the longer, but far more scenic Route 1 on the way up). Save for a few trucks, we seemed to be the only passenger vehicle around until we hit Bangor around 8:30. McDonald’s breakfast beckoned for our first stop of the day. 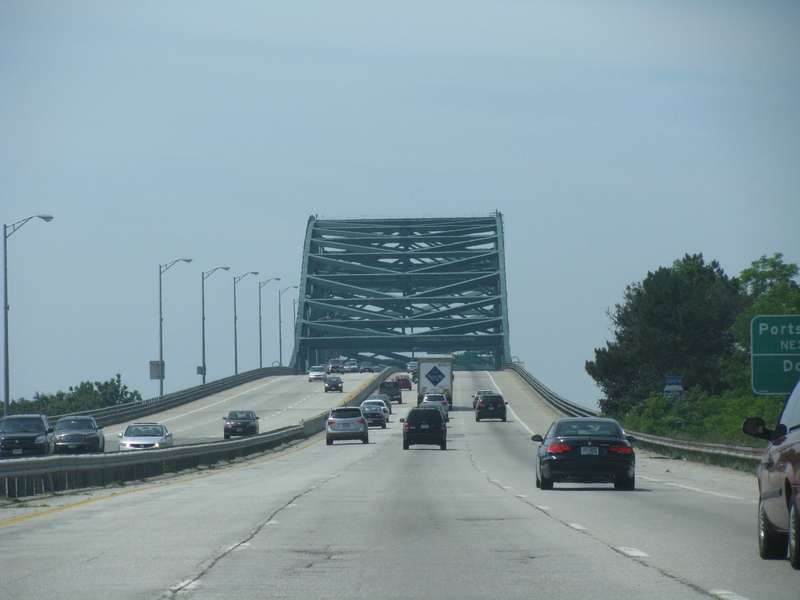 Maine is a large state and I was reminded of this as we finally crossed over into New Hampshire around 11 a.m. My plan was to make it to the Vermont border town of Brattleboro at 2 p.m. for lunch and we were right on schedule. Now it was time to take the road less traveled back to D.C. and veer towards Manchester and the rest of the southwestern region of New England. I really have very little to say about this area of New Hampshire. Sans the fact that the interstate here gives you no real view of the cities of Manchester and Concord, it’s just plain green trees pervaded by light gray asphalt. 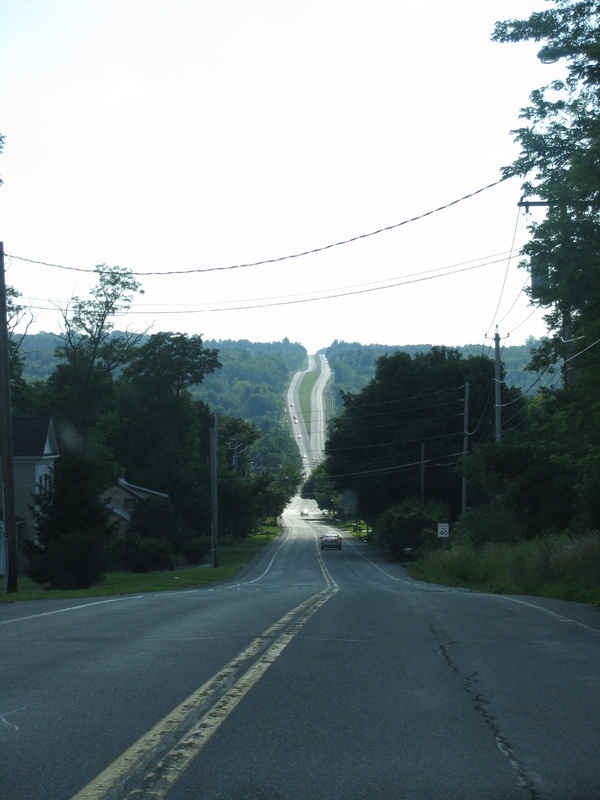 The side roads down to Keene, N.H. near Vermont were a bit more interesting but sparsely populated. 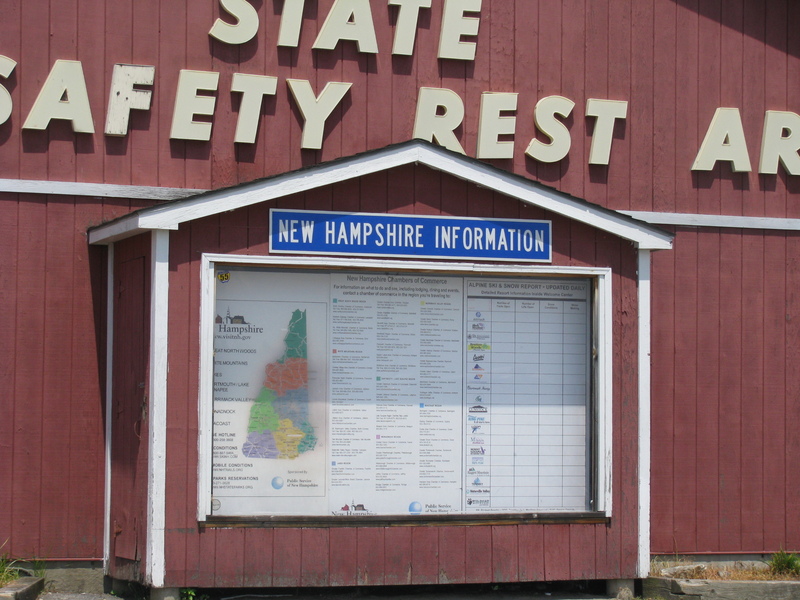 I didn’t really feel I got a good representation of the state on this drive and if I ever decide to pass through again, maybe I’ll hit up the beach at Hampton or go through White Mountain National Forest. 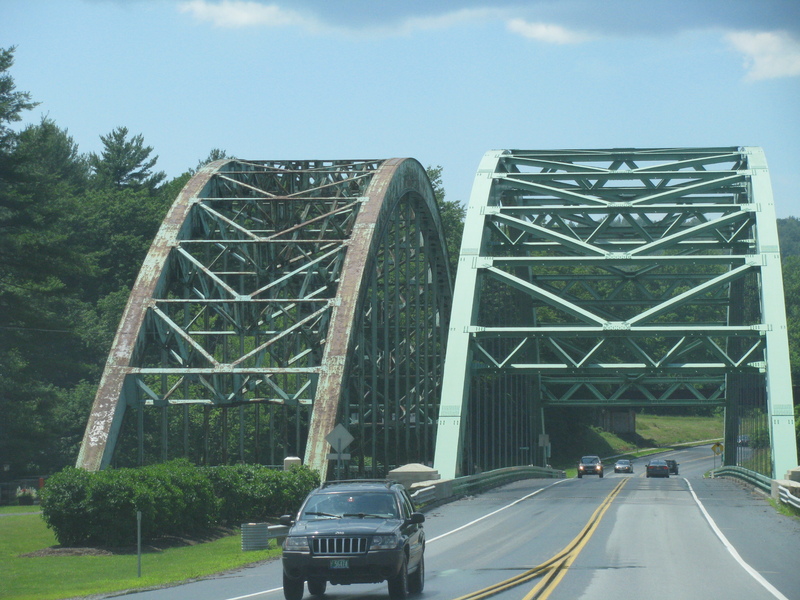 A couple bridges greeted our arrival in Vermont. 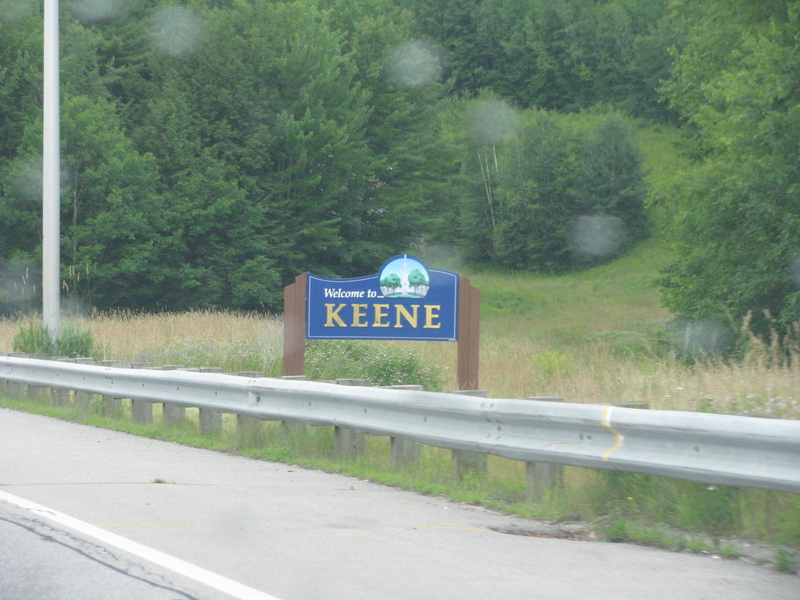 The roads were steaming thanks to a quick downpour, but I managed to shoot an obligatory picture of the welcome sign. Vermont is the 31st state I’ve been in. I use the term “been in” instead of “visited” because in three states I’ve simply been at an airport (this includes Texas, Georgia and the Northern Kentucky airport in which the true purpose is to serve the Greater Cincinnati, Ohio area). I still vaguely remember driving through Rhode Island and Tennessee (and Kentucky) on family road trips but neither I nor my family can confirm we actually did so, so it would be unfair to count those. It’s likely my obsession with the license plate game back then that has clouded my memory. 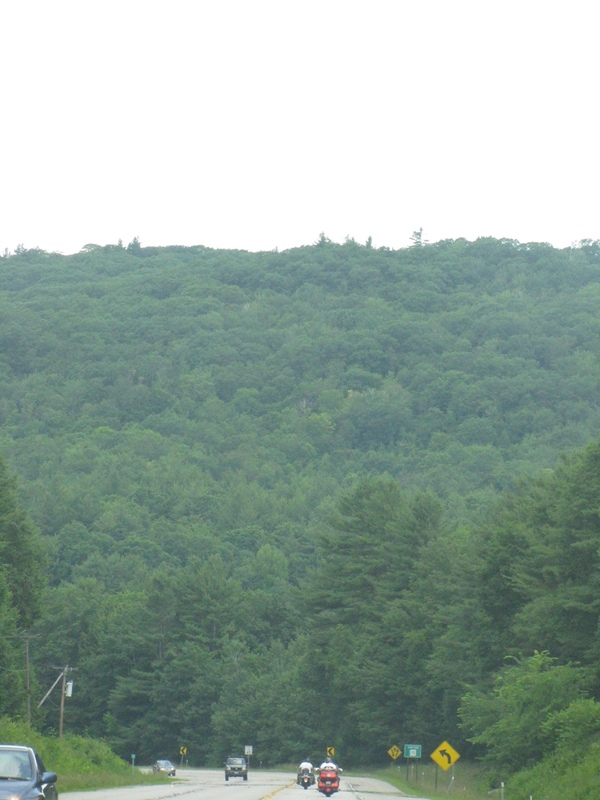 Anyway the visuals provided from Brattleboro to Bennington on the Molly Stark Trail through the Green Mountain National Forest was a stark contrast to that of New Hampshire. Vermont is what you think it is. Lush, green forest that goes on and on and on. 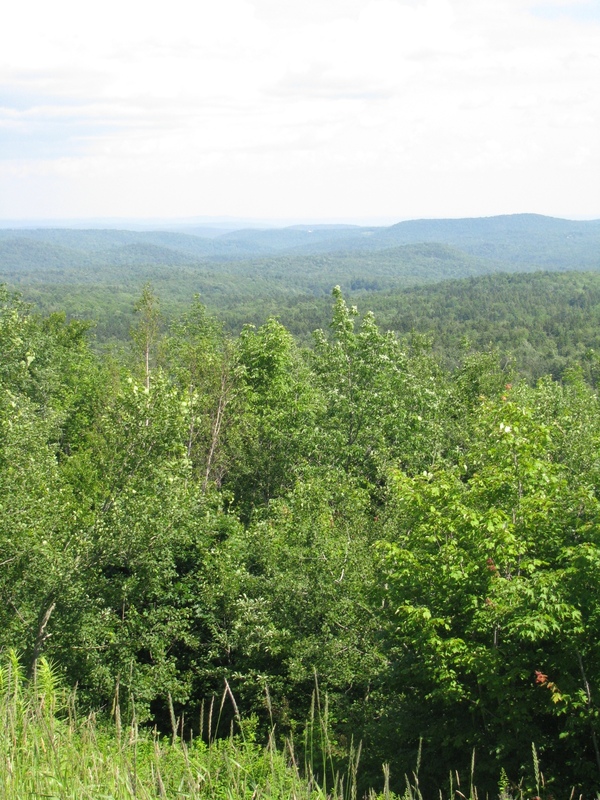 Our third stop of the day (after a Wendy’s lunch in Brattleboro) took about two minutes as I got out of the car to take in the scenic overlook over Hogback Mountain (which happened to be littered with hogs, those of the motorcycle variety). 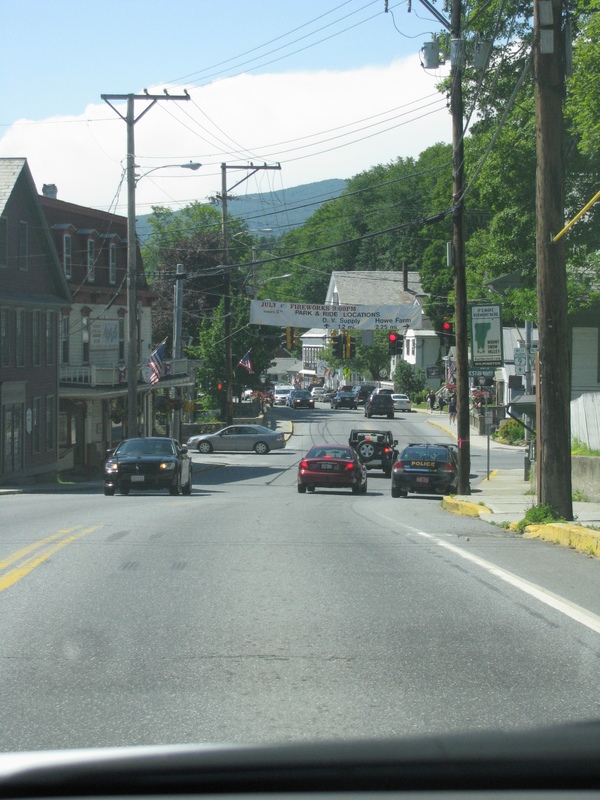 Little mountain towns pepper the area and feel far more warm and welcome than the “backwoods” of New Hampshire. These feel more like national park anchor towns in the vein of Cooke City, MT (Yellowstone) and Alma, N.B. (Fundy). Bennington offers a surprising charm of its own with a historic old town section with houses right out of colonial times. 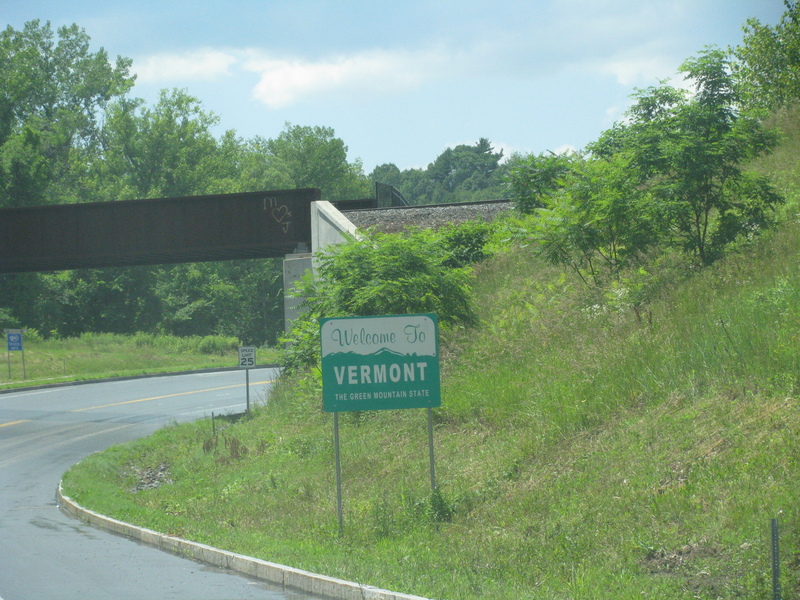 It seemed we left Vermont as soon as we entered and the welcome sign to New York caught me off guard (who places a sign like that right after a hairpin turn). I charted course for Albany as we continued to stray as far from the mainstream traffic as possible. It was here that I got caught off guard by the distance between Albany and Binghampton (my next plot on the plan). 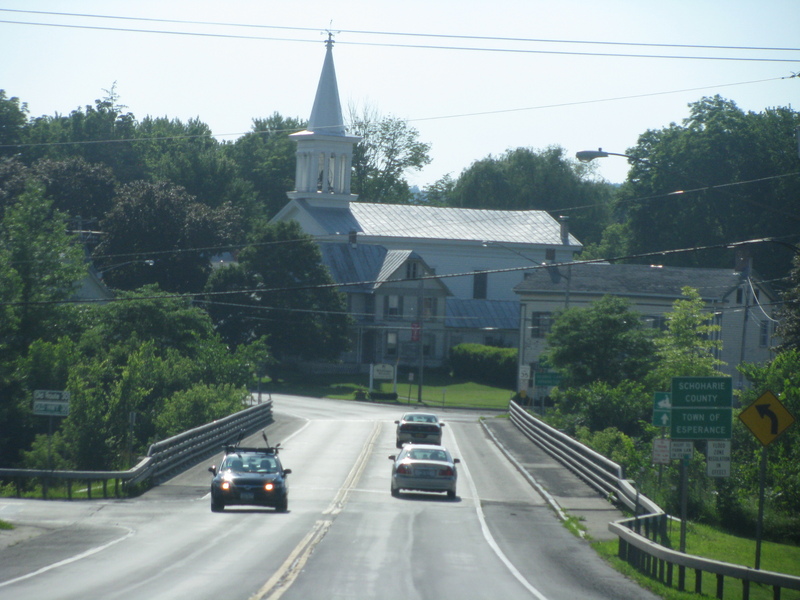 Our GPS had us taking side roads into towns of Duanesburg, Esperance and Sharon Springs (which is home to a huge Wal-mart distribution center – talk about a surprise sight in the middle of nowhere) which is at least a half hour longer than just simply taking I-88. 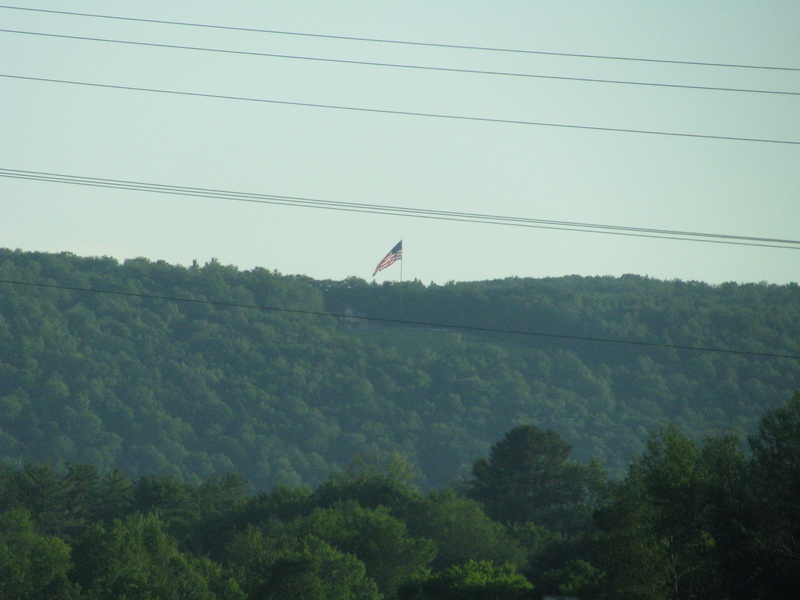 The narrow, winding roads of New York’s Route 10 finally led us into Cobleskill at around 6:45 p.m. where we got stuck – of all places – in a traffic jam while the small town geared up for its Fourth of July festivities (it didn’t help that the local bridge was shutdown either). 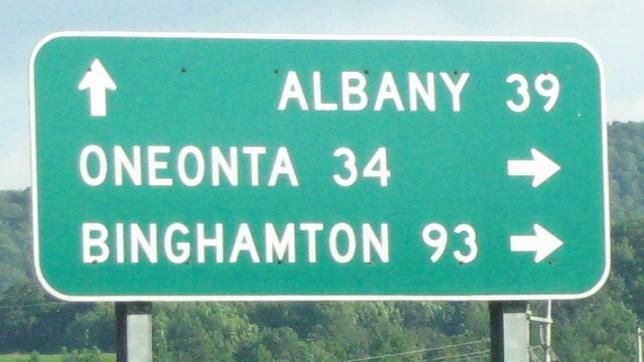 We finally merged with I-88 and made it in to Binghamton at 8:15 p.m (after another Wendy’s stopover in Oneonta). The most noteworthy aspect of the city of Binghamton may be its highly dangerous interchanges. 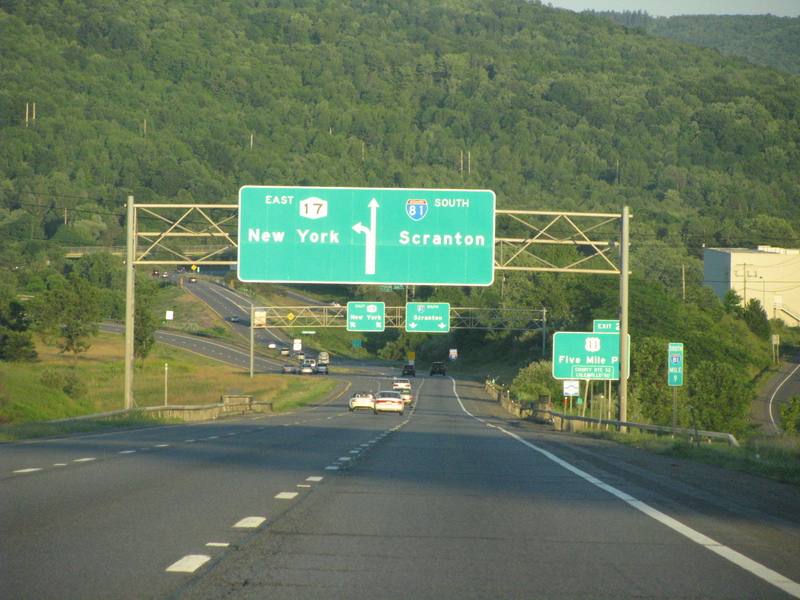 The Southern Tier expressway features TWO outbound lane merges. After looping around you approach a one-lane outbound which you might mistake for the ramp itself. Nope, there is traffic flying in behind you (hidden behind a wall as you come up) and very little room to yield once you notice it. Once you merge with that impending disaster, there is your more typical three-lane merge, but it’s only a few feet from where you nearly bit the bullet. I had been warned about Binghamton’s interchange before, so I was a bit cautious, but I don’t think I’ll be planning a visit anytime soon. 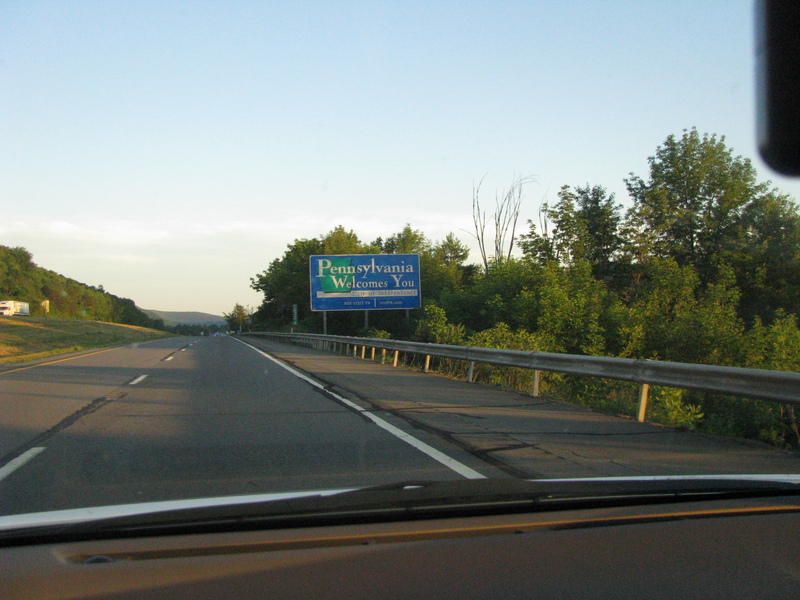 The sun began to set as we crossed the Pennsylvania border en-route to the “twin cities” of Scranton and Wilkes-Barre. 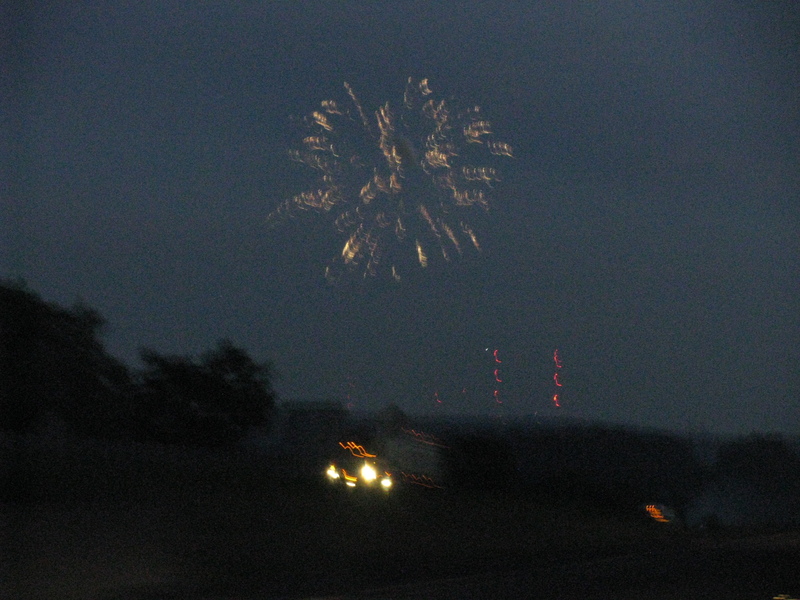 I never thought I’d be watching Fourth of July fireworks blast off all over Wilkes-Barre, but it resembled a scene from back home in Billings, MT as Wilkes-Barre sits in a valley as you drive by. It was a neat sight to see. Our last stop for gas was in nearby Nuangola, PA. I was in dire need of caffeine which helped me through the final stretch. We hit Harrisburg (the beautiful capital city of Pennsylvania) at around 11:15 and I took a wrong exit that led me right into town. Traffic was rather heavy (I imagine from both fireworks and Bryce Harper’s Senators debut) but I managed to get back on track without losing too much time. NYC or Scranton? Scranton, thank you. The GPS gave me a predicted arrival in DC by 1:30 a.m. – but I drove slow as we meandered near Gettysburg and through Frederick, MD in the dark en route to our apartment. At 1:41 a.m., after approximately 20 hours and 41 minutes on the road we arrived. I felt relatively fine in the car, but as I got up I couldn’t say I’ve felt more spent. The next day I drove the rental car back to Reagan National (they probably didn’t expect 2,500+ miles on a five day unlimited contract) and made it to work on the subway. Let’s just say I hit the wall around 5 p.m. It’s now three days later and I finally managed to recoup most of my energy. Ready for a four hour night tour of Pennsylvania? Unfortunately, I forgot to set the trip counter on the odometer but Google estimated my mileage at 986 – which, in my book, is a 1,000 mile day. Plus we saved $28 in tolls (though may have spent as much or more in gas) and saw something new. I don’t regret any of it – I’m just not sure if I will drive that long again. I will be writing up some day-by-day Canada trip post in the coming days as well as a couple write-ups on my day trips to Atlantic City, NJ and Kitty Hawk, NC. Stay tuned. Wow that is one long drive. Did you visit Dunder Mifflin in Scranton? You are one crazy dude, Phil. I feel sorry for myself if I drive ten hours! Your story with pictures and details was nice to read. They interviewed for Mary’s replacement today. Pray, hope, cross my fingers…we are all still missing you, and Mary and Gene’s being together is a marriage made in heaven. Keep writing and hold that library fort down.